I started off with some fun papers that I've recently re-discovered in my stash - Campy Trails from American Crafts. I love the woodgrain and funky patterns in this collection and thought they were perfect for a tiki/beach-themed card! I stamped the sentiment from My Island in the lower corner of one of the papers and the small palm trees along the edge of the blue layer. I covered the seam with a very thin satin ribbon. I stamped the little hut and umbrella and cut them out and layered them on a coordinating tag. I finished the card with some vintage wooden buttons. Thanks for visiting today and I hope you have a chance to play along - I can't wait to see what you create! Hello friends! 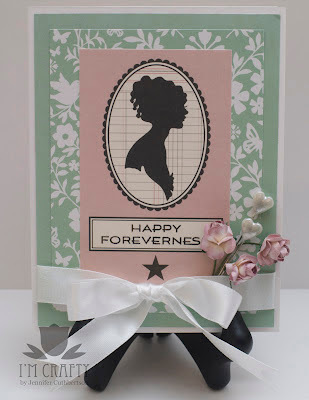 Today I have a post to share this cute little card I made with a new birthday sentiment from Rubbernecker Stamps! I had fun using the vertical sentiment because I don't really use vertical very often! I stamped one piece of patterned paper with the sentiment and lined up another paper on the right side. I covered the seam with a third strip of coordinating paper and finished the card with a cute little felt cabin. Thanks for visiting today! We're getting ready to head to Monterey for the Moto GP race this weekend and we're really looking forward to getting out of town for a bit. We've just finalized all of the repairs/credits and lifted the inspection contingencies on the new house. Next is lifting the loan and appraisal contingencies which I think will happen later this week. All is smooth sailing now and I think we'll actually have keys to our new home in less than a month! Woo hoo!! Hello friends! 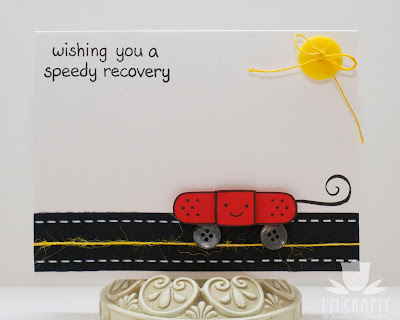 Today I have a post to share with you of a card I made using a couple of new stamps from Rubbernecker Stamps! I started with two panels of patterned paper from the Story Teller line by Crate Paper. I just love the papers in this collection and probably should have gotten more of them! They are perfectly jumbly and all remind me of vintage pin boards and lots of bits and bobs I've kept over the years that would go perfectly on a pin board if I had one! 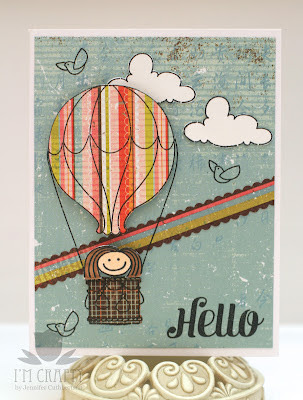 I took the woodgrain paper and stamped it with the skyline stamp along the bottom. I covered the seam with a scallop border sticker from the same collection and then finished the card with some chipboard flowers and a mini tag with a birthday greeting. I really like how this one came out! Thanks for visiting today! Hello friends! 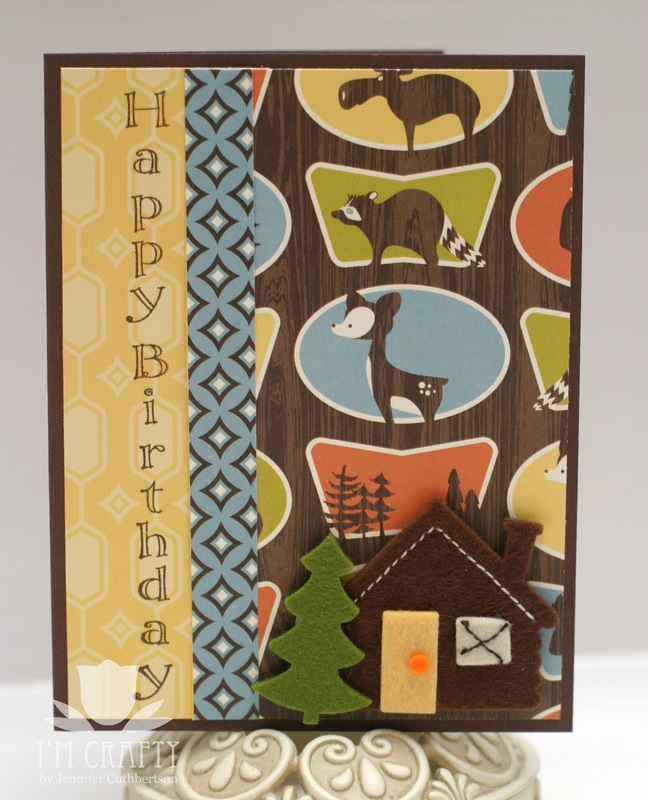 Today is the new release blog hop at The Craft's Meow! If you're here from Jean's blog, you're in the right spot. If not, head over to the TCM blog to get started! I sure hope you've enjoyed what you've seen the past 4 days and that you'll enjoy this hop! Five new sets are available for purchase today and Summertime with Fibi and Lilly is available as a gift with $50 purchase. 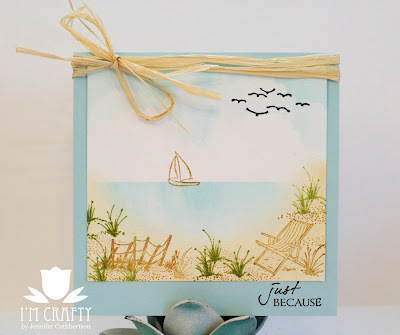 I just love the Love Dwells Here set and combined it with images from Sweet Taste of Summer for this whimsical card. I started with a grid background and then stamped the house images onto coordinating patterned papers and then added some wings and a sun and some cloud stickers. The card was finished with some little chipboard buttons. Thanks so much for visiting today! Hoppers will be eligible to win all 6 new sets from TCM - all you have to do is leave a comment on each blog on the hop! The deadline to comment is 9:00pm PDT, Sunday, June 22nd. Now off you go to Jessica's blog for some more inspiration! 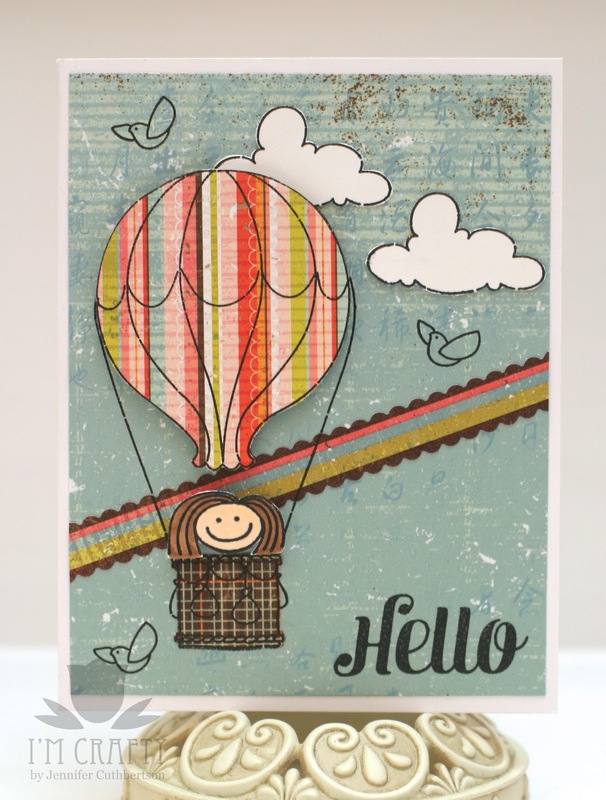 I started off with the amazing Half Pint Heroines set, stamping both the basket and the large balloon from the set onto coordinating papers from Basic Gray. I pieced those over a background and border sticker from the same paper collection. I finished the card with a few little birds and some clouds from Heroines and a sentiment from Compact Sentiments II. I hope you have a chance to play along with us this week! Remember that three will be chosen Top Mice and one random (and lucky!) 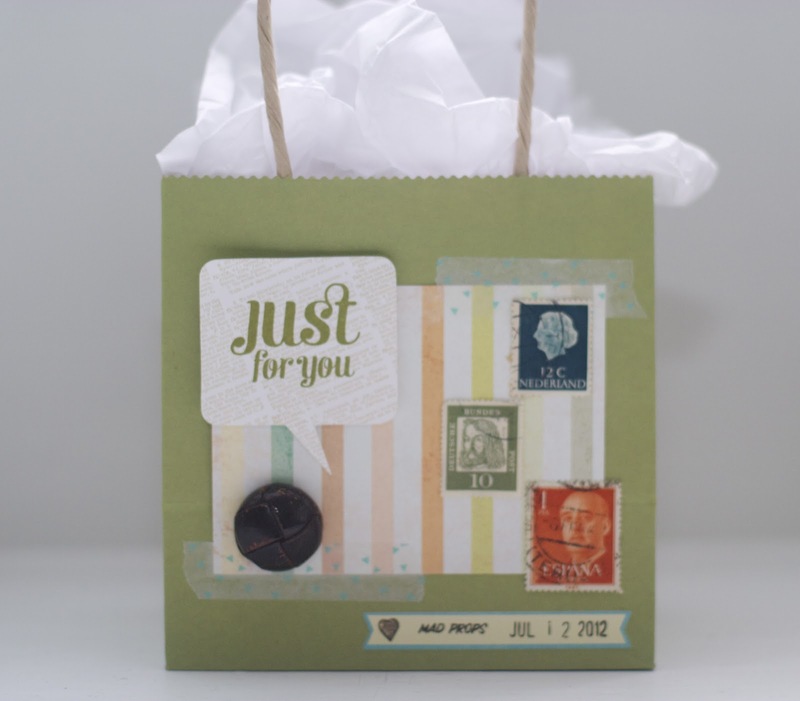 participant will win the stamp set of their choice just for playing along! Thanks for visiting today! Hello! Today is the final day of previews for the July release at The Craft's Meow and today we're showcasing the last of six new sets that will be released tomorrow! 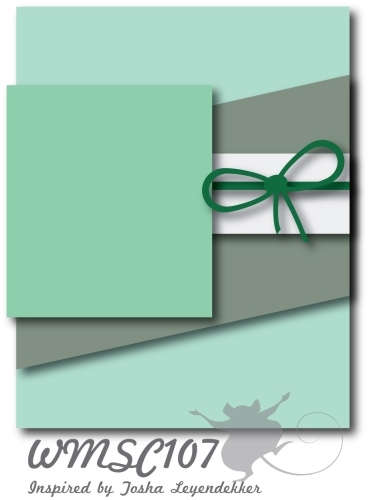 This one is special, though, as it is the set that will be free with any $50 purchase! How cool is that?! This adorable set is called Summertime with Fibi and Lilly and was designed by Mabelle R-O. 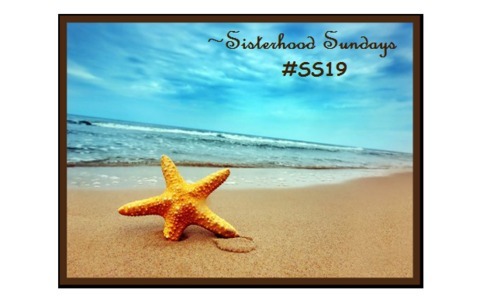 There are two large images, perfect for coloring, and a number of coordinating seaside images and sentiments! I started out with a piece of patterned paper that reminded me of an old boardwalk - whitewashed planks with a wonderful lace and floral print! I stamped and cut out the image of Fibi and then colored it with my Copics in shades to match the paper. I thought it still needed a little something so I finished her glasses with some Glossy Accents for some reflection (doesn't my flash look cool reflected in her glasses?) :) I finished the card with some seam binding, brads, and a vintage button. 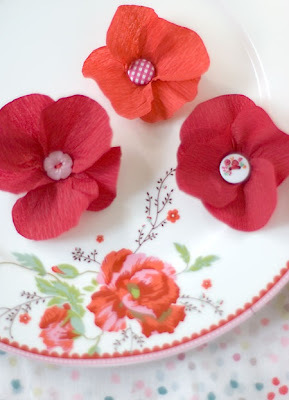 Thanks so much for visiting today and don't forget to stop by tomorrow for the blog hop! One lucky commenter will win the entire release!! 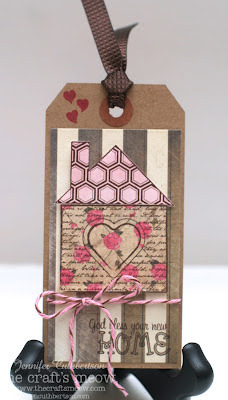 I started off with a kraft tag base, added a strip of patterned paper, pieced the house and roof from different coordinating papers, and finished the tag with a wonderful sentiment and little hearts from the set! Too cute! You will love all of the variations of the house, the roofs, and all of the sentiments and little extras in this set! I've already got a number of projects planned for this one!! Thanks so much for visiting today and I'll see you back here tomorrow with another summery set from Mabelle R-O! Hello friends! Today I have some exciting news I've been keeping under my hat for a while (so hard!) - I am thrilled to be chosen to be a part of the Design Team at Paper Made Bakery! The kits put together by PMB are just something and I can't wait to share the projects I've started making with the August kit! The photo you see above is the July Tea for Two kit which includes wonderful goodies from Cosmo Cricket, cards and envelopes from Bazzill, and enough embellishments for at least 10 cards! 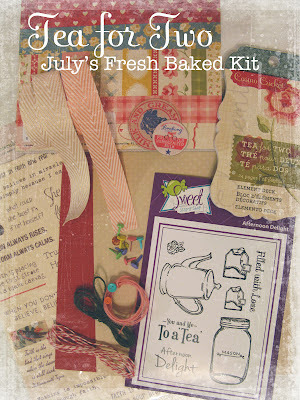 I love these kits and think you will too! Hello friends! 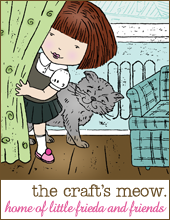 Welcome to day two of previews for the July release at The Craft's Meow! Today we're previewing two new sets of a total of six that will be released on the 21st! First up we have a wonderfully summery set designed by a new TCM designer, Mabelle R-O, called Sweet Taste of Summer. I started off with some background papers and a journaling card from some beach-themed papers, stamped one of the sentiments from the set on the bottom and then stamped the adorable little swimmer, colored her with Copics, and adhered her to the card. Too cute!! The second card was made using a new set from Amy Wanford called One Scoop or Two! How summery is this? I have such wonderful memories of getting ice cream cones with my dad when I was little and going to watch city league softball games. Really nice father/daughter time! 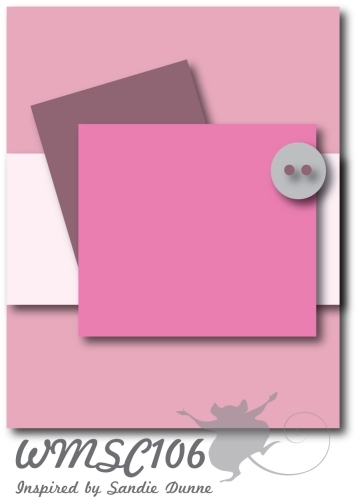 :) For this card I stamped one of the backgrounds from Retro Foundations onto a pink card base, layered some recycled striped paper (box wrapping from my favorite cupcake store! 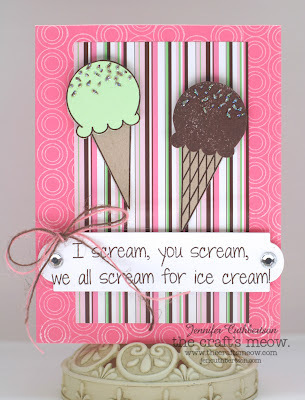 ), and then stamped the ice cream cones to match. I finished the card with some Stickles sprinkels, a stamped tag and a twine bow. Thanks so much for visiting today and I sure hope you like what you're seeing so far with these new sets - I've sure had fun creating with them! Don't forget to comment on the TCM blog for a chance to win one of these sets and I'll be back tomorrow with a wonderful set from Nina Brackett! Hello friends and welcome to day one of the July release previews at The Craft's Meow! This month we have a wonderful guest designer, Naomi Gong joining us, and we have six new sets to show you! Wowza!! First up we have a wonderful floral set designed by Karen Baker! 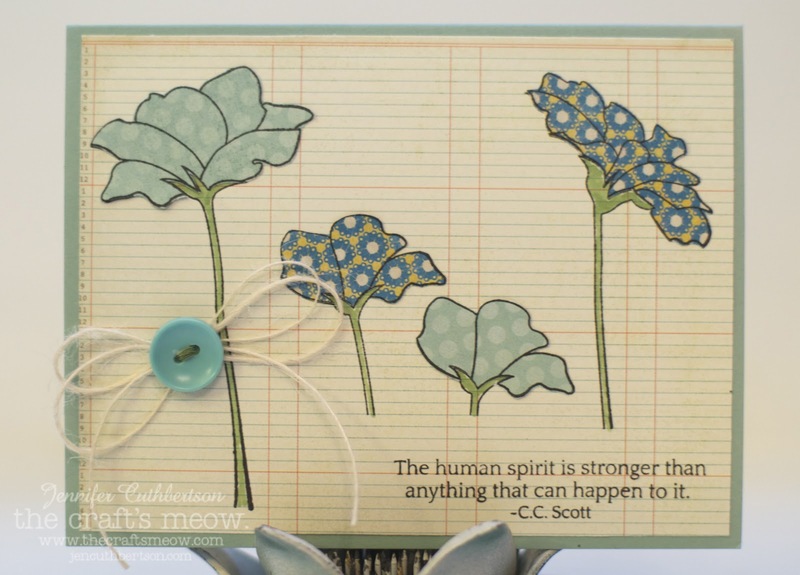 Hope Blooms has four wonderful flower images and a number of hopeful and encouraging sentiments. I couldn't wait to piece these lovely flowers with some patterned paper and I finished the card with a vintage button and some twine! The second set we're previewing today is called Ladies and Gents and was designed by Elizabeta Kushner. 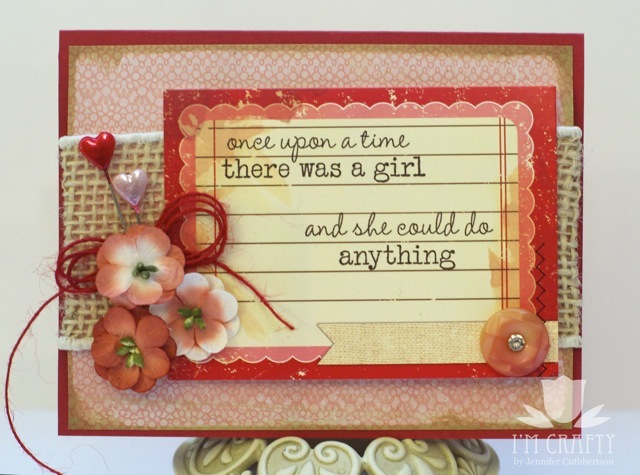 This set is filled with wonderful vintage imagery and timeless sentiments! I absolutely adore the little top hats and that vintage bicycle! Thanks so much for visiting today, friends! Don't forget to leave a comment on the TCM blog for a chance to win one of these amazing sets! I'll see you back here tomorrow with previews of two fun sets, perfect for summer! The theme for this month's party is "the great outdoors" and what better set than the new My Island which I happily inked up! I took a piece of patterned paper and cut it down to fit on top of a large shipping tag. I stamped the paper with the little hut and the big palm trees in a pale brown ink so they were more of a background. 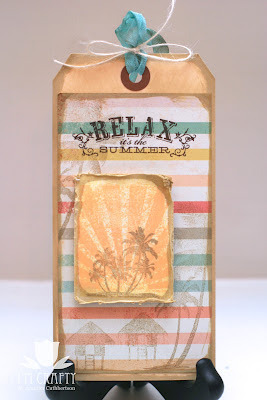 I stamped the grunge rectangle in pale yellow and then stamped the sun in pale apricot over it and then topped it with a pale brown set of the smaller trees, cut it out, and distressed the edges. I inked all of the edges to give it a bit of a vintage feel and then finished it off with some crinkle ribbon and some twine. Thanks so much for visiting today! We've been so busy getting ready to buy our dream home (still in escrow for another month so keeping fingers crossed), I've not had much time to visit blogs lately. But, I read every single comment and appreciate every one! I promise I'll be by to visit again soon! Have a great day!! 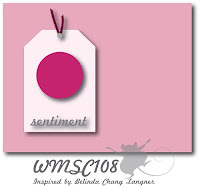 I started with a color palette based on some new papers and embellishments from Crate Paper and stamped a label with Holiday Labels 14 and a sentiment from Compact Sentiments 2. I finished the card with a vintage button and some pink twine. I hope you have a chance to play along! Three luckies will be chosen Top Mice this week and one random participant will win the stamp set of their choice just for playing along! Fun!! 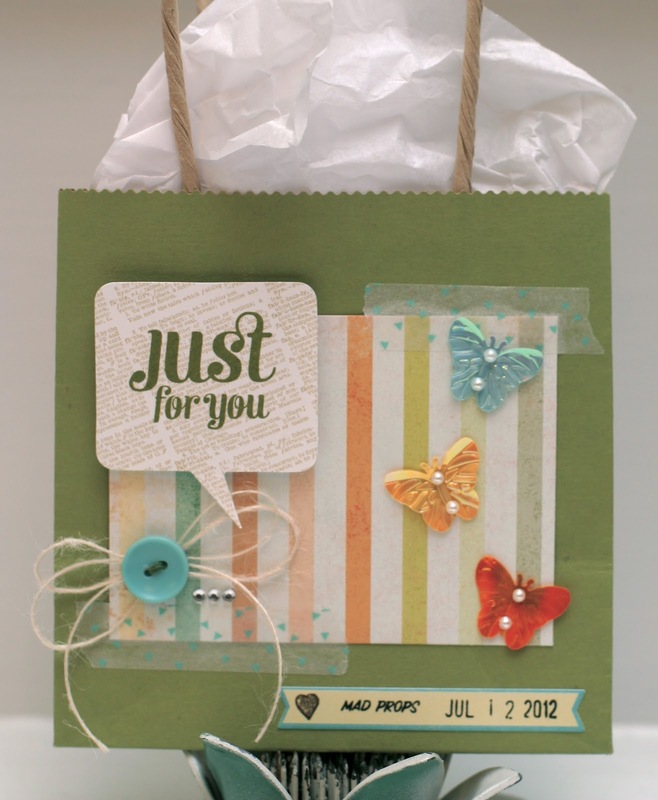 Tomorrow is a special day for my hubby and I made this gift bag for him! Okay, I didn't actually intend to give it to him when I put the butterflies on it but when I added the "mad props" with the date, I thought it would be perfect for a gift I have for him tomorrow. I took the project, replaced the button/bow with a big leather wrapped button and then replaced the butterflies with postage stamps from some countries we've visited together. A fun way to change up something feminine to something more masculine and all it took was a little glue! Hello, friends! 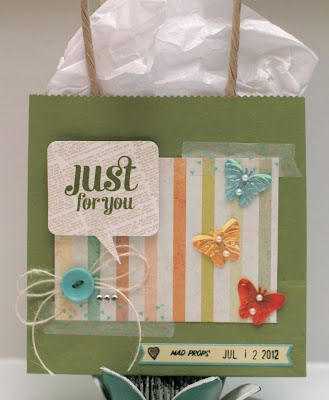 The card I have to show you today is one that is featured in the July issue of Cards Magazine! I used some Dear Lizzy papers for the background, stamped a journaling card, and finished it with a big bow, some flowers and stick pins! So, things have been pretty busy for us this week - we had our offer accepted for the house on Saturday and we are working on the inspections and escrow and all that good stuff this week. This is our first home buying experience and it is thrilling and a bit stressful - lots going on! Thanks for visiting today and I'll be back Thursday with a special gift bag for my hubby! Hello friends and welcome to another challenge at Waltzingmouse Sketch Challenge! I sure hope you can play along this week because this wonderful sketch from Teresa is so versatile and I can't wait to see what you come up with! 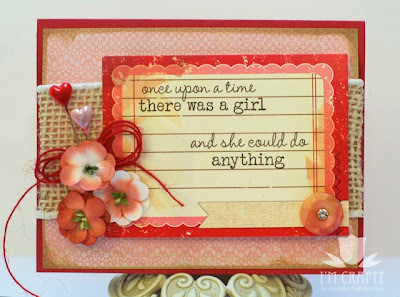 I started off with a journaling card that I stamped with the sentiments from Half Pint Heroines, layered it on top of a red card base, pink patterned paper, burlap ribbon and finished with some twine, stick pins, flowers, and a vintage button! Hello friends! I hope you all had a lovely 4th of July!! We enjoyed the day off but were doing a lot of work getting an offer ready for a house we'd love to call home! This went pretty fast - we saw the listing last Friday, made arrangements to see it on Sunday and knew we wanted to put in an offer by Monday. Fingers crossed it is accepted and I'll keep you posted! 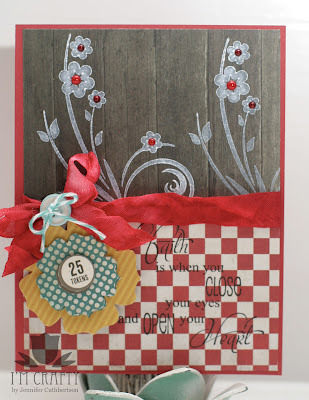 I started off with a red card base and some patterned papers from My Mind's Eye, then stamped the flowers in white craft ink (I love the whitewashed look of them on top of that wood panel print paper), and the sentiment over the gingham. 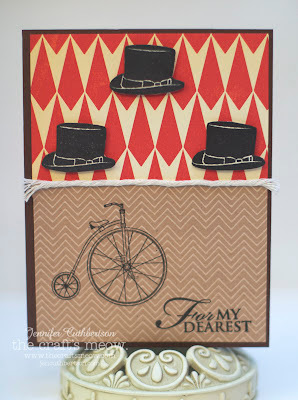 I've been loving sentiments on patterned paper but this may be a bit much. 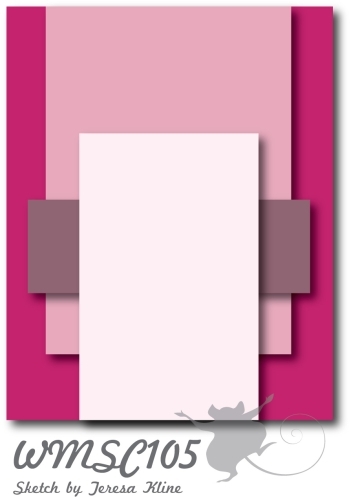 As my husband said, "have faith you can squint your eyes and hope to see what this card says." 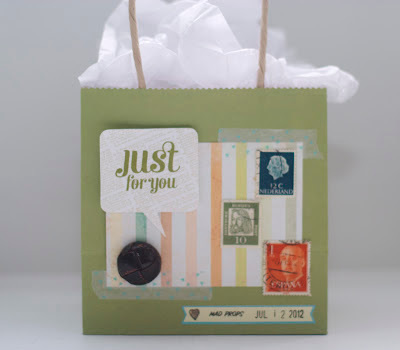 Ay yi yi... :) I finished the card with some crinkle ribbon and a vintage button. Hello friends! 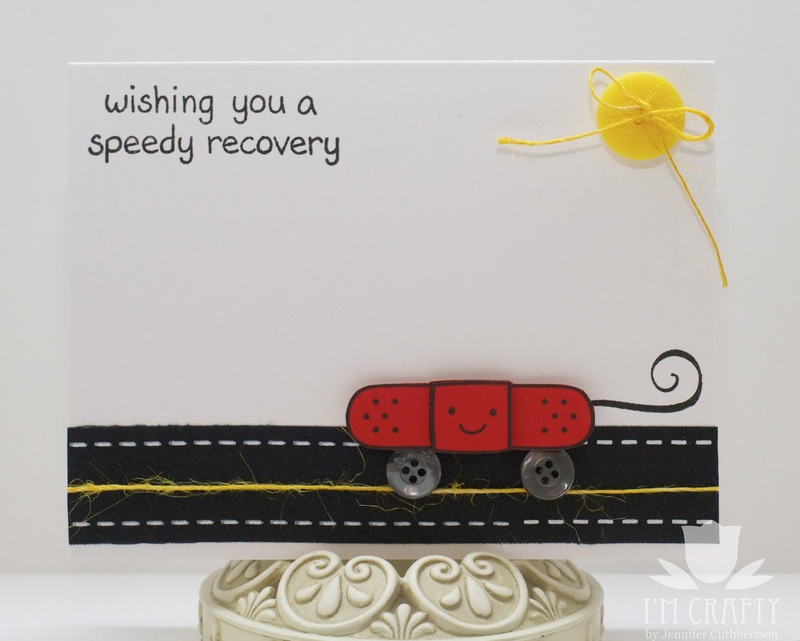 Just a quick post for you today to share a fun get well card I made! I've been having a lot of fun with vehicles and this 7 Gypsies tape this week and thought I'd turn a little band-aid into a little zoomer by adding some button "wheels" and a little flourish. I added some colored twine for the center divider and finished the card with a button "sun." Hello friends! Today is the start of a new challenge at Rubbernecker Stamps and I made my card based on the following inspiration photo. It sure makes me want to be at the beach - how about you? I had a wonderful time back in March meeting Dave and Pat (the inspiration behind Rubbernecker Stamps) at a stamp show in Pleasanton, CA. We were featuring the beach Kittie Kits that day and one of the scenes we were creating were these cute little beach scenes. I loved making those so much on that rainy day, it inspired me to make another one! I stamped the scene, applied it to a sky blue card base, added the sentiment and some raffia to finish it off. I can't wait to see what you create! Play along for a chance to win your set of choice!